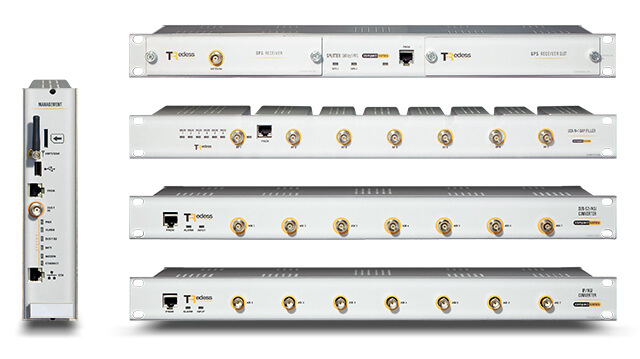 Compact Series is the new generation of TRedess transmitters and gap fillers, developed to optimize coverage areas for digital TV networks in an economic and reliable way. Compact series equipment is a highly compact solution up to 7 transmitters, gap fillers or regenerative transposers can be hosted in a 19”x 5HU subrack, delivering an output power of up to 10W. High Integration Level Up to 7 channels in a 5U subrack. 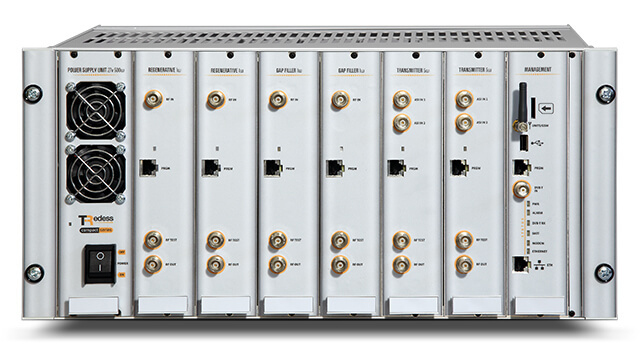 Up to 10W Transmitters, Gap Fillers and Regenerative transposers possibility. Remote control & monitoring system. Very low phase noise local oscillators. Electromagnetic compatibility and safety according to the CE regulation norms. Two options of Echo cancellation of high performance: DAE and DEEC. GPS synchronization. 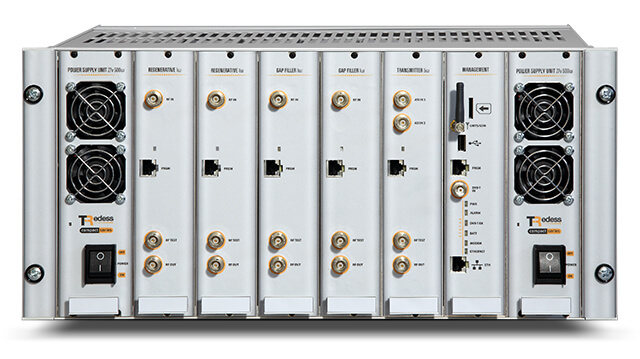 Single or redundant GPS options are available and also a GPS splitter unit is available for generating up to 8 pairs of 10Mhz y 1 PPS signals. N+1 redundancy option by using an addition 1HU device, with a very flexible system for the switching control based on parameters configurable by the user. DVB-S/S2 converter, compatible with multi-stream and loop-throught inputs. IP/ASI converter, based on an embedded Gigabit Ethernet switch with 2x ports Gb and capability to generate up to 7 Transport Streams using one or several IP inputs. The DAE echo canceller is indicated to be used under moderate echo conditions, supports a 10dB gain margin level and performs spectrum equalization. 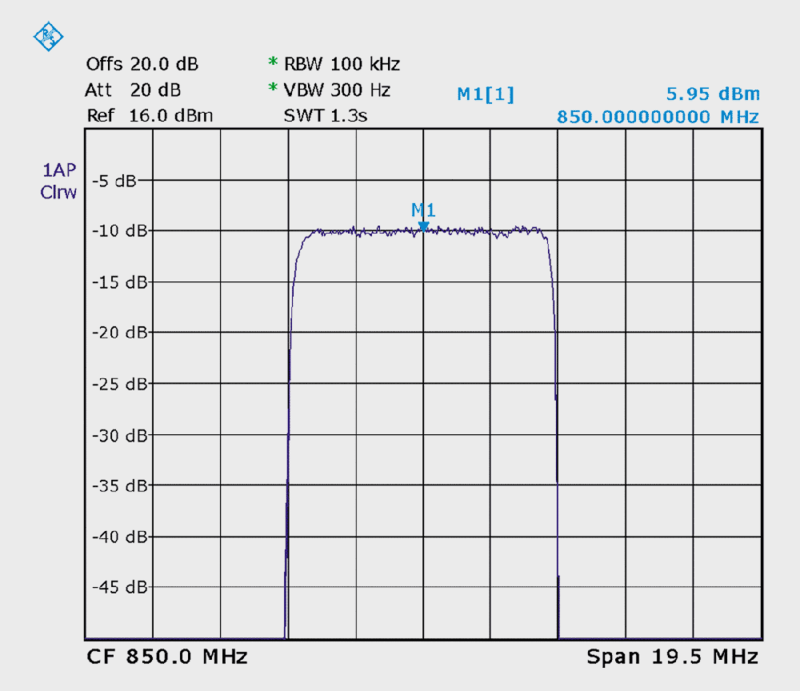 In addition to cancelling the echo produced by the coupling between the transmitting and receiving antenna, it is able to cancel any echo of the input signal whose delay with the main beam is between 0 and 8μs. Thus, the echo canceller circuit allows correcting the distortions in amplitude of the input signal of the gapfiller when they are caused by multipath propagation. 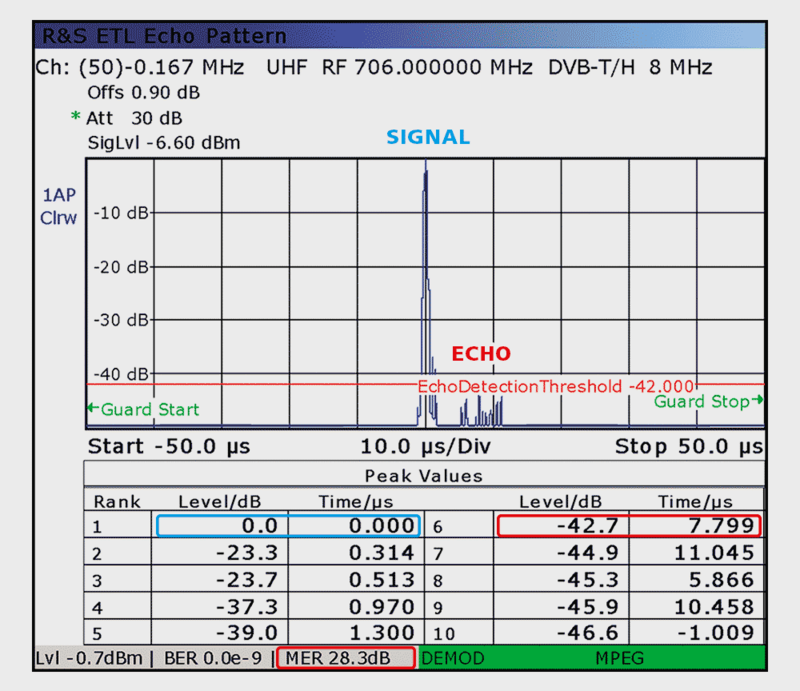 The DAE echo canceller performs the spectrum equalization in the entire cancellation window. The Doppler Enhanced Echo Canceller can suppress Doppler effect and echoes with greater gain margin (higher echo levels), providing an optimum MER performance. The cancellation coverage is based on three temporal windows of approximately 6μs wide each. Placed in continuous mode, they fully cover a range from 0,5μs to 18,5μs. The three windows can shift independently in a range going up to 37,6 μs. 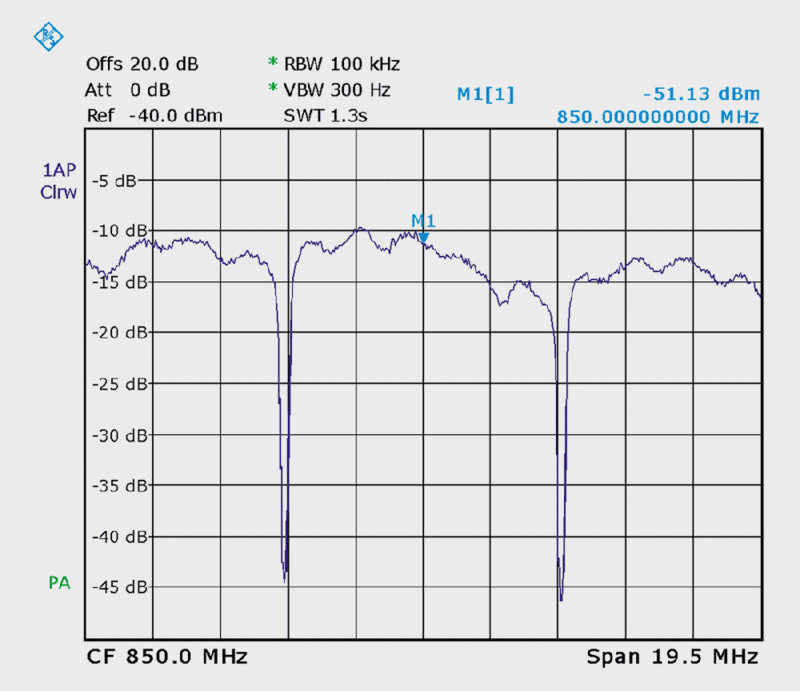 Prodiving an output MER > 27dB when cancelling an echo 20 dB higher than the main signal provides an Output MER > 27dB for a 20dB gain margin. 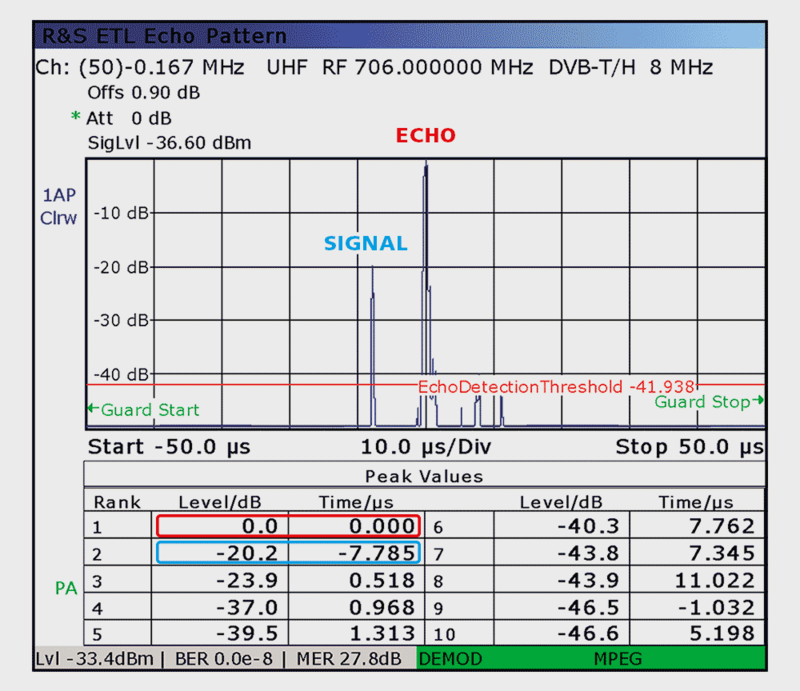 For the cancellation of an echo 24dB higher than the main signal provides an output MER > 24dB. Multichannel architecture ideal for scenarios with a high number of multiplex and reduces site space, implying a lower cost per channel when the number of channels increases. 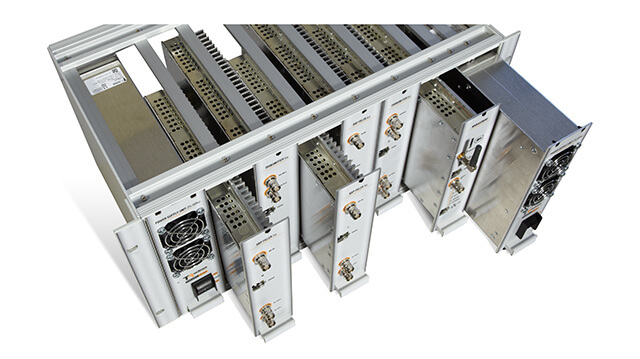 Modular concept with hot swap capability and possibility to combine Transmitters, Gap Fillers and Regenerative transposers in the same frame. Remote control of the entire system via a unique control module. Reduction on the number of necesary spare modules. Ouput powers indicated are after band pass filter.